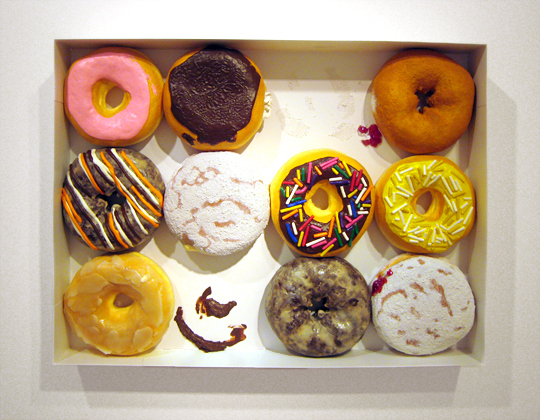 Currently on display at the Allan Stone Gallery in New York City is an exhibition of sculptures of food by Peter Anton. 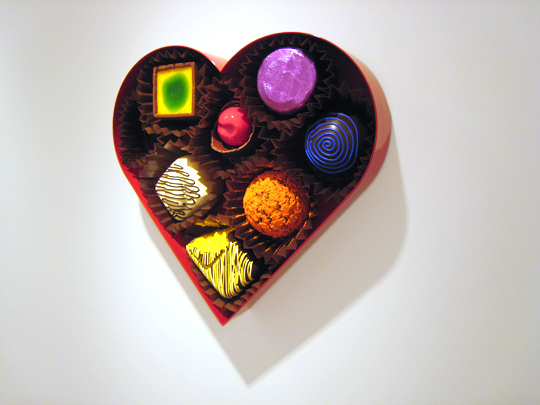 Anton has been making mixed media sculptures of food since the early 1990s — the exhibition represents a small sampling of his more recent work, including sculptures of an ice cream sundae, boxed chocolates, ice cream bars, and peanuts, made using a variety of materials including plaster, wood, metal, resin, clay and acrylic. 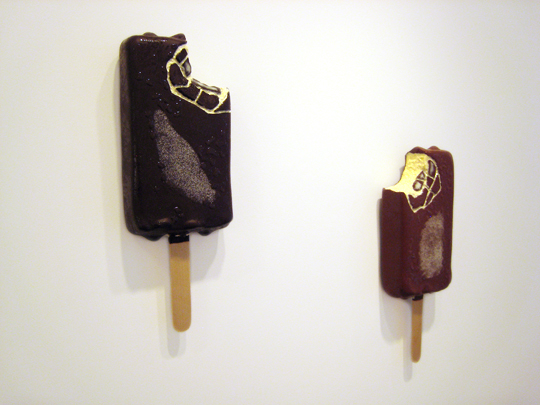 "Milk Bar," Peter Anton, 2008, mixed media, 21x8x3 in., and "Dark Bar," Peter Anton, 2008, mixed media, 21x8x3 in. "Food brings people together and there is no better way to celebrate life," says Anton. "I like to create art that can lure, charm, tease, disarm, and surprise. My sculptures put viewers in a vulnerable state so that I can activate the hunger people have for the things that give them pleasure and force them to surrender. The sensual nature of the work stimulates basic human needs and desires that generate cravings and passion." 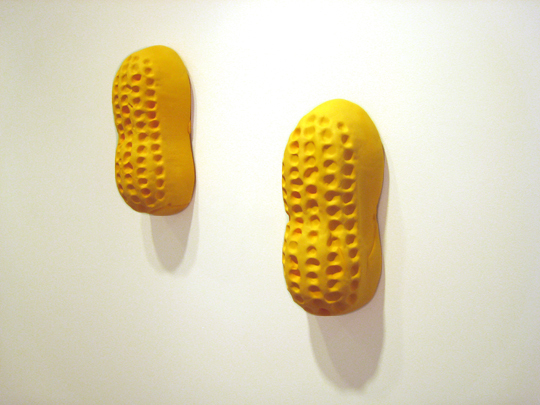 "Circus Peanut," Peter Anton, 2008, mixed media, 17x7x8 in. 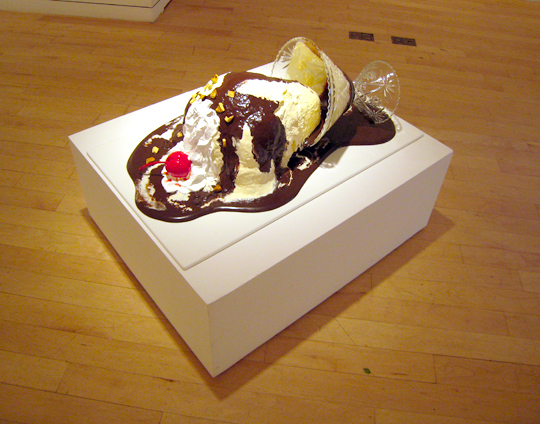 "Spilled Sundae," Peter Anton, 2009, mixed media, 15x40x24 in. 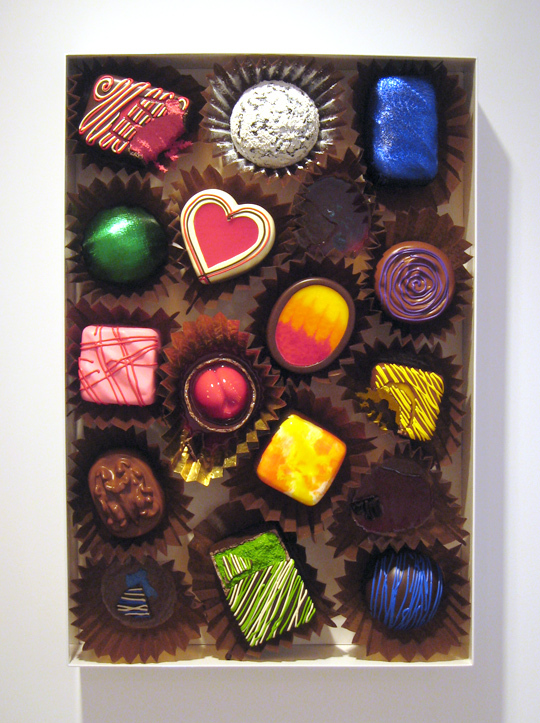 "Vibrant Selection," Peter Anton, 2008, mixed media, 36x24x5 in.